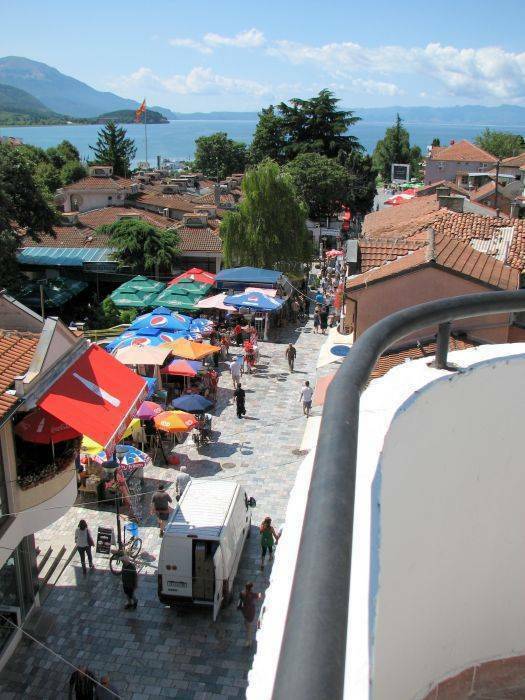 The villa is situated in the center of the town, 80 metres away from the Ohrid lake. 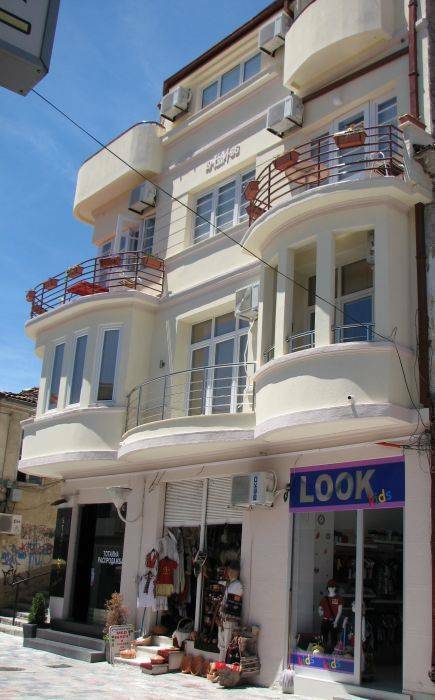 It has 8 apartments, with total capacity of 24 people. 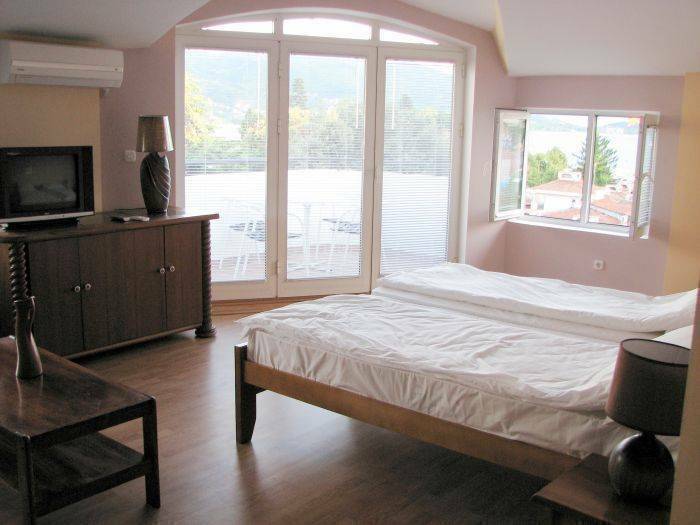 Four of the apartments include balcony, with amazing view of the city center and the beautiful Ohrid Lake. 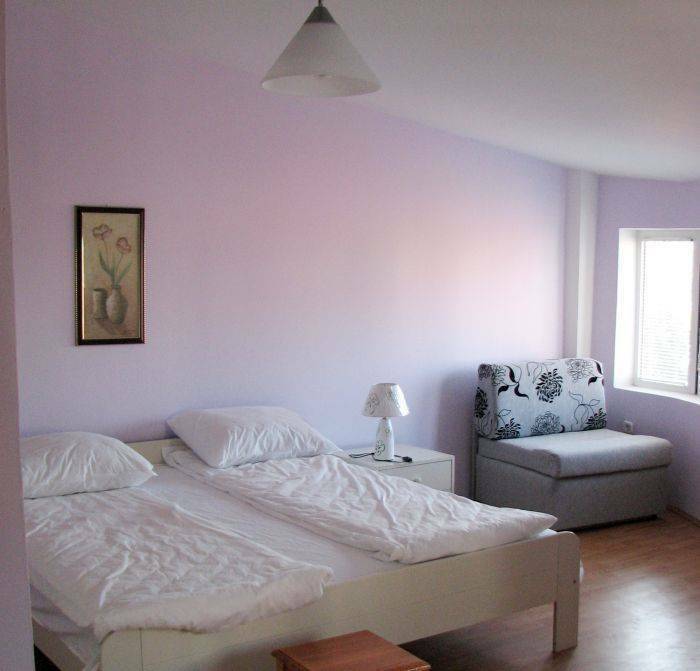 The villa offers vacation for everyone: families, groups and is ideal place for vacation. 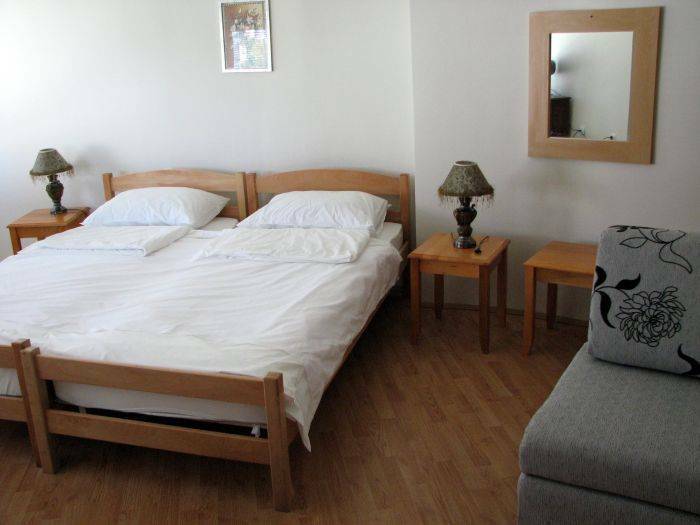 The apartments are luxurious, each containing bathroom, cable TV, internet, air conditioner and mini - bar. The entrance is under camera surveillance, and the staff is always available for the guests. The service also includes laundry and food and drink order from the restaurants near by, brought to the rooms. 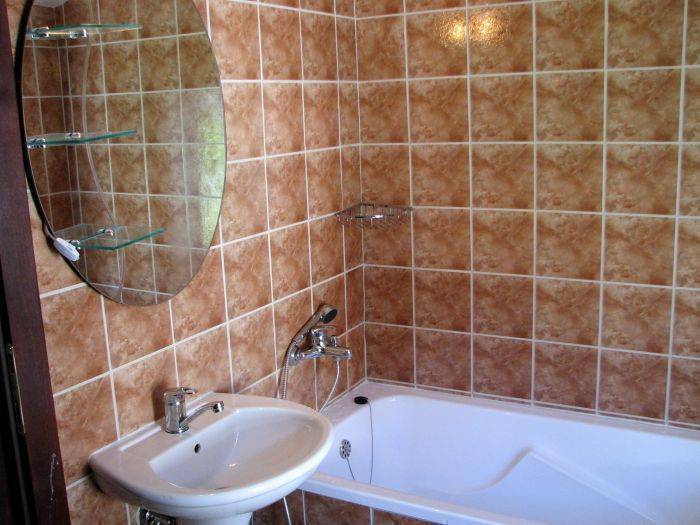 The surrounding has all kind of needed facilities, such as restaurants, shops, bank, coffee bars, pharmacy etc.